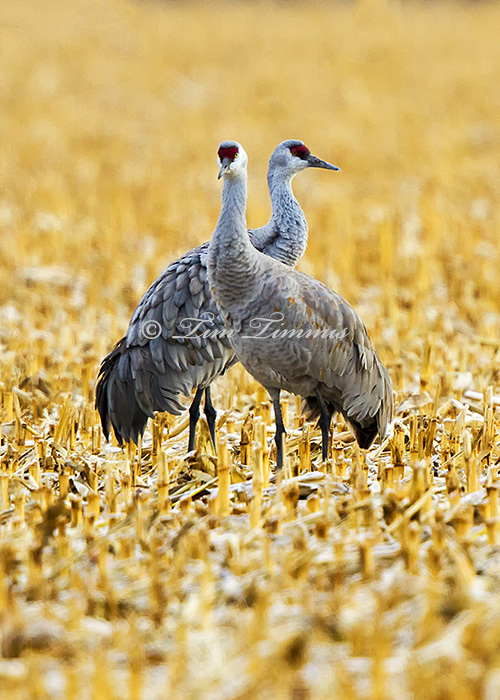 These two Nebraska Sandhill Cranes were staying close together, which made for a good photo op. They mate for life and put on quite a show with their mating dance, which I’ll share more photos of that ritual in my next post. This entry was posted on May 4, 2014 by Tim Timmis. It was filed under Birds and was tagged with Canon 1.4x III, Canon 500mm F4 IS II, Canon 7D, Nebraska Sandhill Cranes, Sandhill Cranes. Sweet capture here. Love the warm tones of the grasses. Really sets off the birds in the scene. Thanks Doug. The corn fields weren’t the greatest backgounds but it worked on this shot.